It is so easy to get caught up in branding and sleek design when creating a website – and a business for that matter – but without the right content on your site it really won’t matter how professional it looks. That’s not to say that bad design is OK either, because the way it looks will catch the attention of potential customers. However, if they are going to stay on your site, there really has to be something of value to keep them interested and convince them that you are the person or company they want to work with. And only content can do that. Or to be more precise, search engines love relevant and freshly updated content. Did you know that according to a Netcraft January 2018 Web Server Survey there are over 1.8 billion websites online? But of these, only a very small proportion are actually active or updated regularly. The easiest way of keeping your own site active is to write a blog and add posts regularly. Each new post becomes a new gateway to your website and gives search engines relevant topics and text to crawl. This will ultimately help your site rank higher in searches and give you a platform to show your expertise in the area you are trying to get business in. And if you have a clear idea of your target audience then this task becomes infinitely simpler to achieve, but if you still struggle for ideas on what to post, check out my list of 50 Awesome Blog Ideas – see you can even blog about blogging! Some marketing gurus will insist that hiding details from visitors and only offering them answers once they click and sign up to your email list is the way to go. However, if you’ve got an overflowing inbox and little time to read through five emails a day telling you why you need to buy from someone, then employing this tactic won’t win you any new clients. I’m all for oversharing on my website and giving as many details about my services as possible – including prices. Why? Because if people see how much I charge upfront, they can make a decision there and then if they think my services are worth it to them. And sharing ‘secrets’ about web design via my blog may empower some readers to build their websites themselves but they are not my ideal clients anyway and I am thrilled that they want to learn a new skill and go it alone. Content isn’t just words – your images and videos are content too. So branding and keeping your visual content relevant is also important. It also helps break up long pieces of text so that readers don’t feel overwhelmed with long blog posts or pages on your website. I’m a big fan of Canva and use it to create all of my images (including the one below) but whatever image software you use, try to make the images your own and steer clear of stock images wherever possible. All that content you create in the form of blog posts and tips about your own industry can and should be shared via social media. You are creating a library of specialist information when you write a blog and sharing it with as wide an audience as possible is what social media is there for. So, share that post you’ve just written across Facebook, LinkedIn and Twitter and get your message out there. Oh, and don’t forget to share blog posts more than once. Not everyone will see your post the first time and if the content is evergreen there is nothing stopping you sharing it time and time again across your social media channels. So, what are you going to do to make your content stand out and keep your website active? Love it or hate it, social media is here to stay. And if you run a business and don’t already have any social media presence then you are missing out on tens of thousands of prospective clients every single day. It’s just that simple. Now that’s an amazing number of people accessing social media don’t you think?! You don’t even need to reach 0.0001% of them to still reach hundreds of thousands of people who may want to buy your stuff. I think that’s an amazing resource to tap into. Yes, completely and utterly FREE. OK, so it will take you some time to get your content together and learn how to add it, and you can pay to boost your posts so more people get to see them, but honestly, compared to the paper-based advertising of old, social media is simply in a different league. And for new businesses and solopreneurs that’s got to be a huge selling point. In fact, using social media can actually reduce some of your other business costs such as advertising and recruiting as outlined in this post over on Business Woman Media. For almost every business, having a global reach can really be a benefit. It’s great for connecting with potential customers, but even for a small or new business that works more locally, having the potential of connecting with like-minded individuals globally can really expand what your business does – and you never know where it may lead. I recently had a website enquiry from someone in New York who found me online! Whilst it turned out that I wasn’t the right fit for his business, it was great to think that my business is popping up on searches made over the pond. It’s the whole point really. Social media helps people connect with you on a more social level before they decide whether or not to do business with you and then gives them a route to your website, thus bringing in more revenue in the long run – as long as your content is something they want more of! With consistent branding across all of your digital assets, social media allows you to put your brand in front of potential customers in lots of different ways. 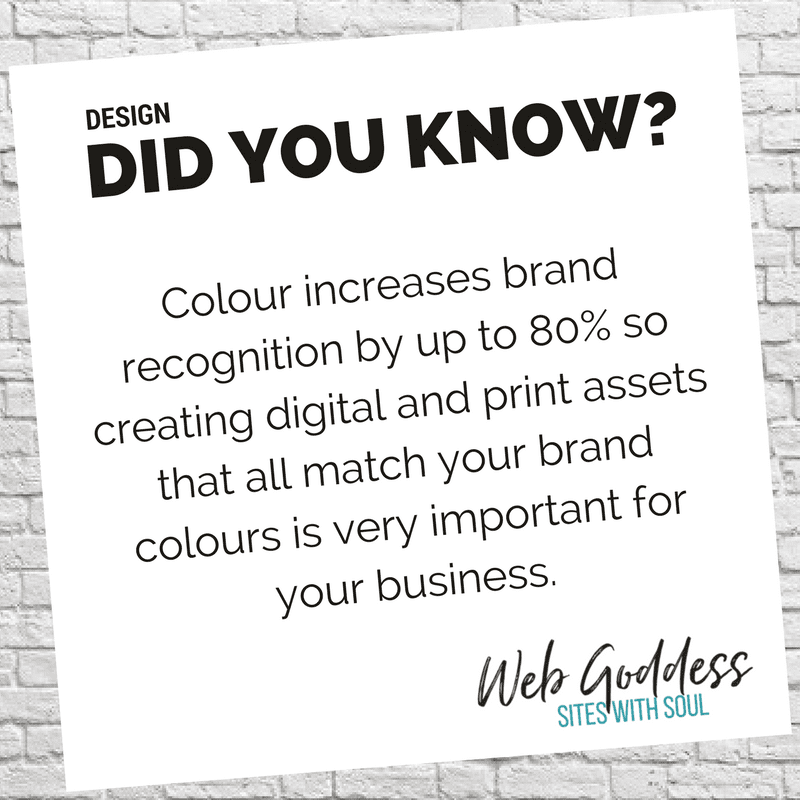 I’m not talking about always selling because that’s just tacky, but writing blog posts and sharing graphics with your logo, strapline and colours really will leave an imprint that people will remember and start to associate with your company. It also builds brand loyalty and that’s super important if you want to keep customers coming back for more. Many businesses forget that social media is just that – SOCIAL – which means that a one-way stream of constant advertising seldom works. For social media to work for your business you have to build relationships. Join groups on Facebook and offer advice, join conversations on Twitter and voice your opinions, post photos on Instagram and share your world – all without selling your products and services at every single opportunity. The point here is to build a community who likes what you do, because they will then contact you to work with or pass on your details to someone else who needs your expertise. This encompasses a whole lot more than just testimonials and feedback. Social proof is a huge decider when it comes to people buying your stuff. It’s online word-of-mouth and includes Reason #5 above as well as case studies and story telling. There’s a great article over at CXL with far more detail on this subject and I suggest you go and take a look – it’s really helped me (ah, more social proof – see what I did there?!). Answering customer queries via social media is a great way of showing that you care. If those exchanges are public, they add to your social proof (Reason #6) and showing other potential customers that you deal with enquiries of any nature quickly and professionally. We’re back to social proof again here. You can show expertise in your industry by commenting on current events, news and trends and linking to blog posts that you’ve written either on your own site or on others. For example, here’s a post I wrote for the Knowledgebase over at Women in Rural Enterprise all about creating a business that is successful on your own terms. It’s linked to my mentoring and coaching business but also mentions Web Goddess. The more time spent adding rich and interesting content to your social media efforts, the better you will find your search rankings. This is because your content brings new followers, who in turn click through to your website and thus improve your rankings. 10. It’s where your Customers are!!! There is no longer any doubt that social media works. In 2016 80 percent of medium social media users (1-2 hours per day) made online purchases during the year with 79 percent and 78 percent of heavy and light users respectively making online purchases in the same period. This in contrast to 48 percent of non-social media users making online purchases in the same period (source). Your customers are scrolling through their social feeds looking for things to buy and if you’re not popping up in front of them then you’re missing out! P.S. If you’re new to working online or are simply struggling with your social media skills I can help. Check out my Digital Mentoring service for a little 1:1 help if you need it. Check out this amazing infographic from the team over at tracx.com which gives you a fantastic idea of social media demographics at the beginning of 2017. And here’s a great short infographic video from The Social Pro about why Social Media matters. Christmas is a great time to connect with your customers and clients and is also an excuse to have a bit of fun! Give your top customers or clients a special Christmas surprise – whether that’s a free product or gift or simply a handwritten note to thank them for their custom over the year, your thoughtfulness and recognition of their loyalty will make them feel like they are important to your business and will keep them coming back. If you’re new in business then this list can simply be your most frequent interactors on social media or via email. Whoever they are, make sure they know you think they’re great. We all love to win prizes – especially when there may be a festive treat involved! It doesn’t have to be big to spark people’s interest, but offering an entry into your Christmas prize draw if they sign up to your email newsletter or comment on a Facebook post can be a great way to get your customers interacting with you. Another simple competition idea is to run an online treasure hunt to get people to interact with your website. You could ask people to find the plum pudding or the treats you have around the site and then email in with their answers. As long as people know what they are looking for then it can be great fun! If you have a physical location then putting on a party for your clients or customers can be a great way to keep your business in their minds. This could be limited to your VIPs as another way of surprising them or you could invite everyone who signs up to your newsletter list or who has been a customer in the past year to come along. This very much depends on how many people you think will show up! Surveys can be a great way to find out what you clients and customers really think of your business and if you team it up with the chance to win something then you are bound to get people to share their views with you. Think about what it is you want to know and use a free online survey creator such as Survey Monkey to collect the responses. One of the funniest things I’ve ever done is create a Halloween video with some colleagues over on JibJab. You simply upload your faces and paste them on the characters and you are all turned into characters on an e-card that often includes hilarious dancing. They also have Christmas ones as well so you and your colleagues can become elves, at least for a short while! If you know that Christmas is going to be super busy for you, give an early-bird discount for sales or services in November and let your customers reap the rewards of getting their Christmas shopping done early. Not only do they grab a bargain, but you get more business and hopefully avoid at least some of the last minute shopping that happens. On that note, I actually received an email order at 9pm on Christmas Eve one year so you are not ever going to help everyone be more organised!! You may already be thinking of this for your VIPs but offering all of your clients gift vouchers is a really great way to say thank you for their loyalty over Christmas. Keep the validity short to ensure they use the voucher early in the new year and this can really be a great way to pump up your clientele in January and February. Customers tend to spend more than the value of the voucher and if they don’t use it at all it hasn’t cost you anything either so these really are a great way to celebrate at this time of year. Send out an email a day for the 12 Days of Christmas. This could each include a special offer valid for 24 hours only or offering special tips and advice over the festive season. Choose something that fits with your industry and have some fun with it. Sweets and candy are always winners in my book, so why not create some custom candy with your business details on it, or simply a Christmas message. There are plenty of companies out there doing customised food including putting your logo onto m&ms!! Give these to customers in Christmas baubles or create your own crackers for a simple but memorable gift. There are so many different ways to surprise your clients this Christmas so I urge you to make the effort and spread some festive cheer. 1. Create a Business Page – I am still completely surprised at how many people I see creating personal profile pages for their business and asking people to become their friends. This is neither professional nor good practice so if you haven’t created a business page yet – then JUST DO IT!! If you need more reason then check out this post on Entrepreneur as they explain it all much more succinctly than I would. 2. Post Consistently – once you have your page up and running, post to it often. If you miss even a few days, your reach goes down enormously and you just won’t appear in your fan’s timeline. It’s that simple. If you have trouble remembering to post all the time then I recommend using the built in scheduler within Facebook. Instead of clicking ‘post’ when you have created an item, click eht drop down next to it and select ‘Schedule’. That way you can plan a whole week or month of posts in one sitting. I use it to plan posts for a month at a time and then pop in and out to add ‘live’ posts now and again too. 3. Vary your Updates – posting the same things over and over again is not only boring, but your followers will quickly tire of it and either unlike your page or simply block your posts. I know one business that posts the exact same text every Friday and it just shows no imagination or social interaction. Use photos, quotes, videos and text and share posts from other pages that interest you. And if you are just posting sales information all the time, stop doing that too. The general rule is 80/20 – 80% non-sales and 20% sales. 4. Convert your Likes – if your page has thousands of likes that’s great! But if none of those fans are converting to customers at some stage then all the fans in the world aren’t helping you sell anything or get more business. Although the idea of a page can be to interact with people, you also need to convert people to buyers once they trust you and your product/service and this can be done through surveys (to collect email addresses), promotions, highlighting products or by offering special deals only for followers. 5. Communicate with your Followers – it’s called ‘social’ media for a reason! If someone messages you through your Page, comments on a post or asks a question, get back to them as soon as you can. No need to post at 1am but if you ignore your followers you risk losing them. The whole idea behind having a business page is to let your fans interact with your business in a different and more casual way than they would with your website – and this has to be a two way street. 6. Create an Awesome Cover Photo – you are selling your business after all, so please take the time to make a great cover photo. Cover photo dimensions are currently 851px x 312px and you can create great cover photos in your own image software or online at Canva (FOR FREE) and upload them to your page. It is also a good idea to change your cover photo about once a month to match your promotions, special days of the year or just to showcase new products or services. 7. Follow other Pages – it’s a great idea to follow other pages on Facebook to see what they post and to get ideas for your own page. Try to spread your net as wide as you can and don’t just follow similar pages to your own. You never know, you might just find some amazing information on a page that is completely different than yours. 8. Check your Insights – this may seem like the boring bit, and to many people it is. But without checking your page insights it is almost impossible to work out which of your posts have been the most engaging and which posts to promote as adverts (yes, I do advocate using Facebook adverts as free only goes so far). If you find that your image posts do better than your text or link posts, then make sure that your posting strategy includes more images. 9. Ask Questions – not only are these a great way of getting feedback, but they allow your fans to interact with you and feel that their answers are important to you and your business. Asking for one or two word answers often work best as people generally don’t have time to type long comments. 10. Chill Out – the whole idea of a Facebook page as far as I am concerned is to allow followers to get to know the human side of a business. It doesn’t mean you have to share your life story, but you should show a more relaxed side and really interact with your followers as often as you can. A sense of humour is very important!!! This quick list is just the tip of the Facebook pages iceberg and I hope it helps you create and use your pages to improve your business. If you’d like to connect with me on Facebook then pop on over to my Web Goddess Page and say hello!